I compiled this list of the most basic and most important Korean language particles, verb endings and connectors for our online basic Korean grammar course (Korean Grammar for Beginners). I am sharing that list on this page for TOPIK GUIDE readers. The list is categorised into 3 sections – Particles, Verb Endings and Connectors. 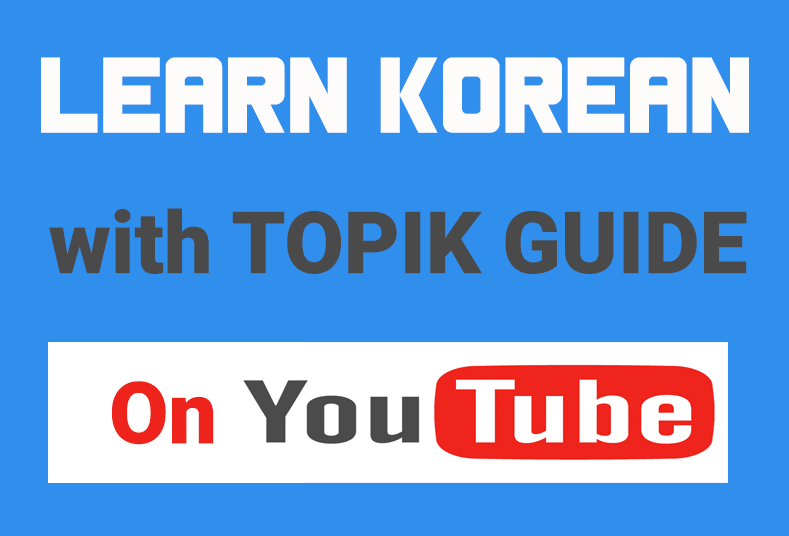 Whether you are just a beginner level Korean language learner or you are preparing for TOPIK test, you must study and understand these connectors properly as these are used very commonly in written and spoken Korean everyday. V + 죠/지요 – Isn’t it? (used for confirmation)– 잖아요 – As you know/You know that …..
-아도/어도 돼요 (It’s ok to …)(Asking for/granting permission)-(으)면 돼요 (You just have to…), You can just do..(으)려고 하다 Intend/Plan to do something(으)기로 했어요 – Decided to do..
Time + 동안 – During .., For the duration of .. In case you find your grammar skills a little rusty, you can check this course on Udemy – Korean Grammar for Beginners Course (A special discount coupon is embedded for TOPIK GUIDE readers). The course which has 50 video lectures explaining these most important Korean grammar particles, verb endings and connectors. I wanted to learn more about Korean language.